Family travel presents a wonderful opportunity to spend meaningful time together outside of your and your kids’ daily routines. Children thrive, parents decompress and new experiences are shared by everyone. But why wait until the trip to spend quality time together? 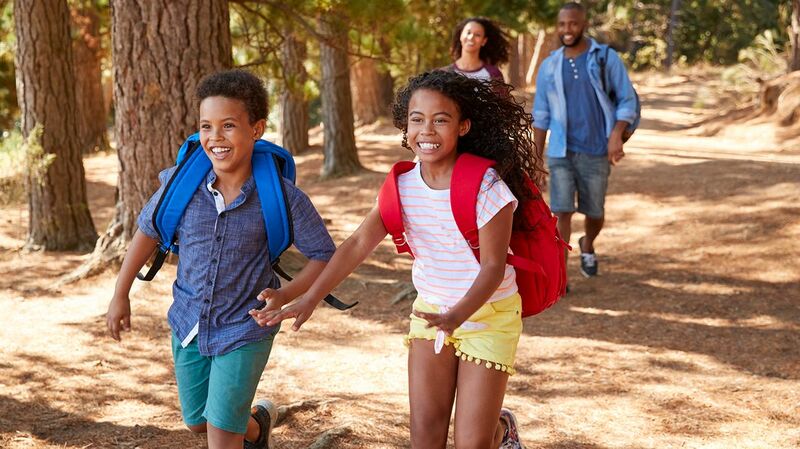 Involving your kids in vacation planning is a great way to spark the excitement of a getaway early on — and helps gives children a sense of ownership over the memories they’ll soon be creating. From brainstorming destinations to creating itineraries, children bring a bundle of enthusiasm to planning their own trips. 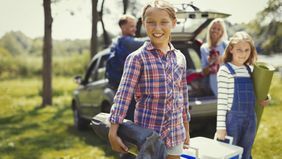 Here are five surefire ways to engage your kiddos in designing your next family vacation — and help them pick up some essential life skills along the way. The first step in planning any family vacation is figuring out how much you want to spend. Don’t be shy about sharing a target budget with even young children and explain that the estimated figure has to cover travel, accommodations, meals and excursions. How to Get Your Kids Involved: Provide each child with a notebook and designate a few pages to each category of vacation planning — accommodations, must-see sights, activities, food, etc. — to help keep track of their wish lists, which will ultimately help shape the vacation. (For younger children, you can use one family notebook to share.) Seeing it all laid out can help kids understand trade-offs. For example, if staying in a nice hotel with a pool is high on their wish list, that might mean traveling by car rather than plane. After reviewing the budget and wish list, it’s time to ask each family member to pitch their ideal vacation spot. Is it a week in Miami Beach? Exploring New York City on foot? Convening with Mother Nature at the Grand Canyon? Synthesize the feedback (as much as humanly possible) to narrow down a list of top contenders. If you want to make it a truly democratic process, take a family vote. How to Get Your Kids Involved: Give your kids some maps or a globe to help them identify potential destinations, whether nearby or international. Ask them to list a few reasons why they think their top picks will be fun, whether it’s landmarks they’ve read about or fun facts they learned in school. 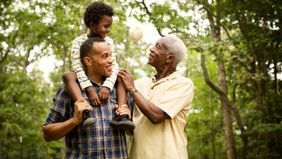 Once you decide where to go, make a commitment to learn something new as a family about the history and cultural traditions of that place. This will help them feel connected to the destination before they even get there. Consider putting each child in charge of your family’s itinerary for a day or a half-day. Unless the family plans to stay put for a relaxing beach vacation, many destinations have more attractions than a family can visit in a week. Gather the troops and pore over guide books and travel blogs together to compile a master list of sights and activities, as well as approximately how much time each one will take up. How to Get Your Kids Involved: Consider putting each child in charge of your family’s itinerary for a day or a half-day. And their plans don’t need to be super rigid — you want this to be fun, not homework. Perhaps they simply want to cherry pick a handful of must-do's, or they just want to leave time to explore off-the-beaten path experiences in a specific neighborhood. Nothing invites cooperation and enthusiasm like participation. One of the most fun aspects of a family vacation is sleeping away from home. Discuss as a group what options are near your destination of choice that also fit your budget. Factor in how much time you think you’ll actually spend there, and whether you’ll have a car or need something walkable to the sights. How to Get Your Kids Involved: Ask them to help identify the must-haves. Do they really want a pool? A kitchenette? A view of the city? Once you price out your options, help show your kids what fits into the budget — this can be another great opportunity for them to learn to prioritize what they want. You can also explain how spending a little less for the bulk of your vacation may mean getting to splurge at a fancier place for the last night or two. Encourage older kids to do their own research and record their findings in their planning notebooks to share with the group before reservations are made. Encouraging your kids to pack for themselves doesn’t just help engage them in the vacation planning, it can also help you save on prep time. The key to efficient packing is leaving yourself enough time to do it, so a few days before the trip, help them start thinking about what they need or want to take with them. How to Get Your Kids Involved: Ask your kids to find out what the temperature will be like at your destination and have them draw up a list of items that suit either end of the weather spectrum. Use the family planning notebooks to create lists of things like activewear, outerwear and shoes, as well as extras like umbrellas, hats, sunglasses and water bottles. Spare Ziploc bags come in handy to contain messy things and to collect treasures. Consider designating an outer pocket for children’s medicine and toiletries so they’re easily accessible. If there are luggage-size constraints that you’re trying to meet, let your kids in on that, too — for example, if you're trying to limit each family member to a carry-on. Help your kids select items that can be mixed and matched for all occasions to free up space. And remind them that the less they pack, the more room they will have for souvenirs. Younger children might require more hand-holding through the process, but they will love it just the same. And it’s no less meaningful to go through these motions even if parents already have a general vacation plan in mind. 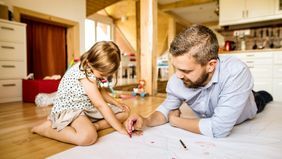 Engaging the children in the finer details makes everyone feel more invested, and teaches kids that they have a stake in the whole family having fun.